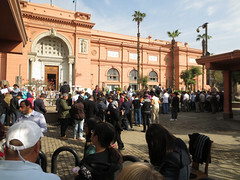 Everyone touring the Egyptian National Museum for the first time visits the King Tut Exhibit. The display is on the second floor and like the rest of the museum, had only a reasonable number of visitors on Tuesday. The pictures, once again, are all from 2003. Most of the real treasures are inside a smaller room where they are strategically highlighted. 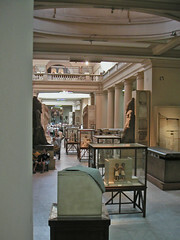 Egyptian guides are not permitted to lecture in that room to keep the people spread out and moving. 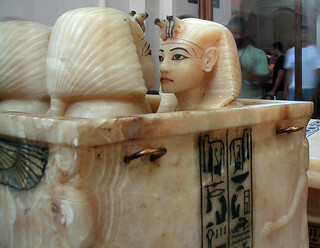 The first features encountered as you approach the exhibit are the four nesting boxes that covered the inner shrouds that shielded Tut's body. Here Linda stands beside the outermost box. 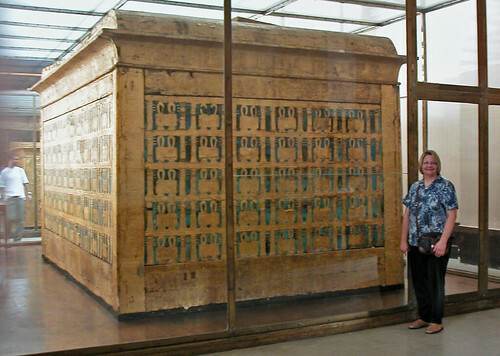 For more details on these boxes and sarcophagi and coffins, Seattle University Art History Professor, Monica Bowen, has an excellent blog post with diagrams and pictures here. 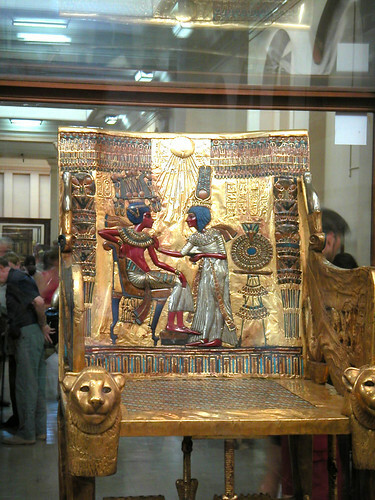 A favorite item for us on exhibit in this area is King Tut's golden throne. 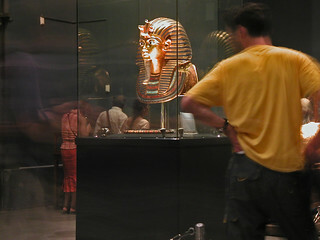 Once inside the Tutankhamun room, the center of attraction is the twenty-four pound solid gold burial mask. The guards (not wearing any uniforms, so hard to spot) were quick to intercept anyone pulling out a camera phone near the mask. Because of the lighting, the mask is difficult to photograph without using multiple images and HDR software to combine them. I didn't bother to make an attempt. 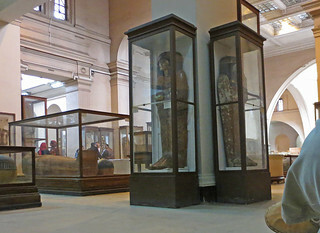 If Egypt wants to seriously boost tourism, I have a suggestion: reopen the museum to photography for, say, one year. I would make a special trip to get in on the action if I weren't already a regular visitor. 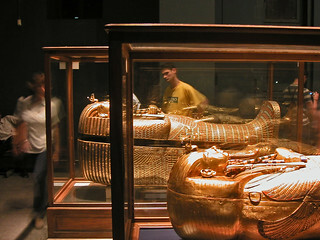 There is a large selection of Tut treasures in the room ranging from tiny pieces of jewelry to the gold sarcophagus. 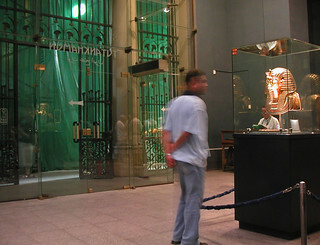 Even people who don't normally care for museums may find the tour worthwhile. 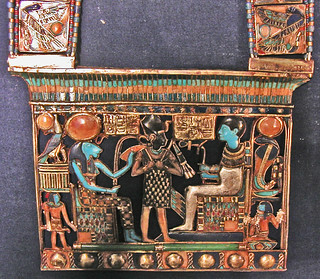 There is an excellent guide to many of the pieces in the Tut exhibit at this Tour Egypt website. Follow the links on that page for pictures. Back outside the Tutankhamun room, there are more Tut pieces. Among my personal favorites are the canopic jars from Tut's grave which contained his viscera, removed in the mummification process. If you have been following the reports in the press about the beard being broken off of Tut's mask and being glued back on in the manner of a typical Cairo plumber or electrician, you may wonder just how bad it is. Not too bad is the answer. You need to look very carefully to spot the glue oozing out of one area of the joint. From now on her role will be limited to overseeing the contents of Egypt’s royal stables. 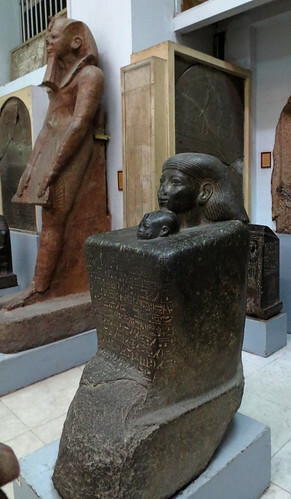 But, you go to the Egyptian National Museum expecting to see certain treasures, and there isn't much rotation. The museum's official website is here. The Wikipedia entry is here. 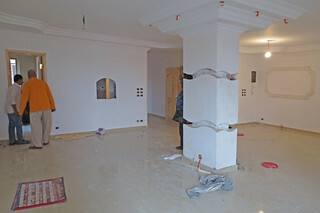 Both are about as bare-bones as the decor and documentation found near most exhibited items. But progress is being made on some improvements in the museum as noted in this recent excellent article in The Guardian of London. 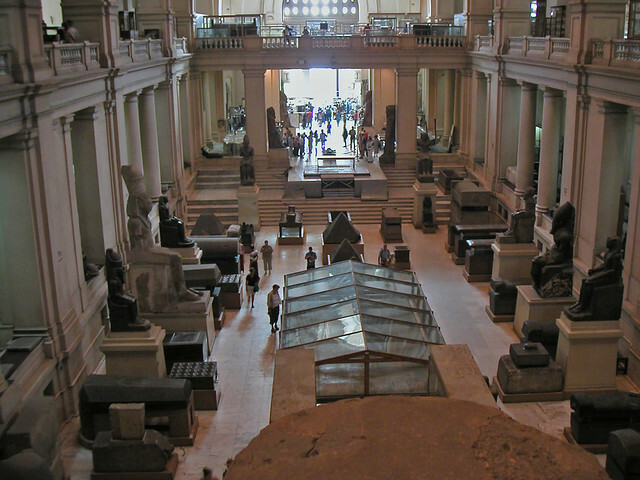 ... the inside is cluttered and tired, its impressive artifacts inscrutable to most visitors. The museum shop is permanently shut, the restaurant dark and gloomy, and to its critics the whole site has an amateurish feel. 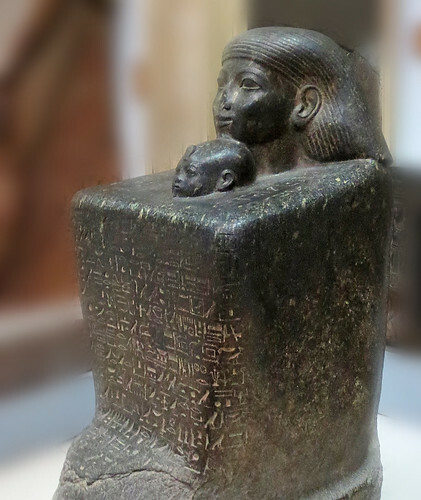 The rumpus about Tut’s beard personifies this, as do the museum’s display signs which – if they exist at all – are often written on flimsy bits of paper. 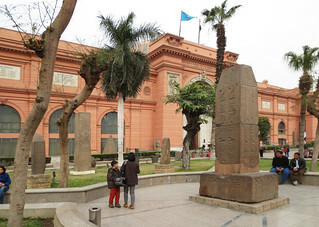 “The museum has suffered for a long time from a lack of governmental financial support because of the decrease in the numbers of visitors coming to Egypt,” concedes Halwagy, who writes communiques by hand at his desk. 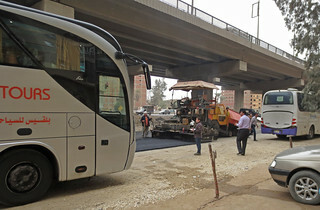 ... an official seven-year revival is now under way – a well-funded initiative that comes amid several other attempts to show that Egypt, under its authoritarian new government, is once again open for business after four years of political turmoil. 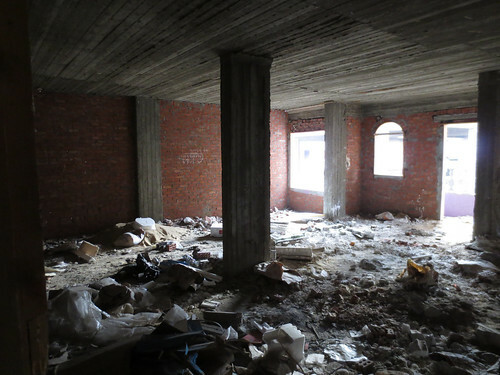 Under the plans, the building will be refurbished and next door, Hosni Mubarak’s burnt-out political headquarters will be knocked down and turned into a garden. Showcases will be installed with protective glass, and machines installed to control the temperature and acidity of the air. Let's hope that this all proceeds at a fast pace. 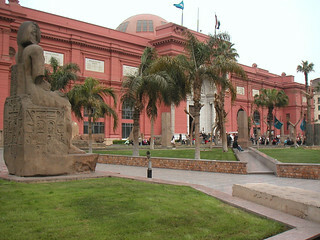 Reportedly, the museum proper contains about 100,000 items with an additional 200,000 in storage. 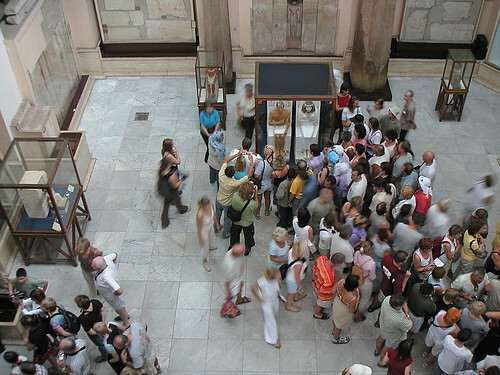 A typical tour lasts one to three hours and the tour group stops at perhaps 40 to 50 specific exhibits. Visitors spend ten to thirty minutes examining each of several exhibit rooms near these stops. Except for a paint job a few years before the revolution, the museum exterior appears about the same as in 2003. The old picture is on the left. 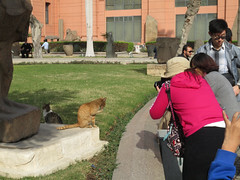 As groups form up for the trip inside, they take a few pictures in the courtyard both of the monuments and the ubiquitous Cairo cats. Cameras are banned from the inside of the museum. Luckily for you, I took a number of photos back in 2003 on my first two visits to the place. 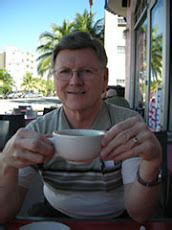 They have never before been published on this blog! Here is the interior shot from the rear of the second floor looking back toward the main entrance. Two of my favorite exhibits are the basalt pyramid capstones right in the center of that picture. 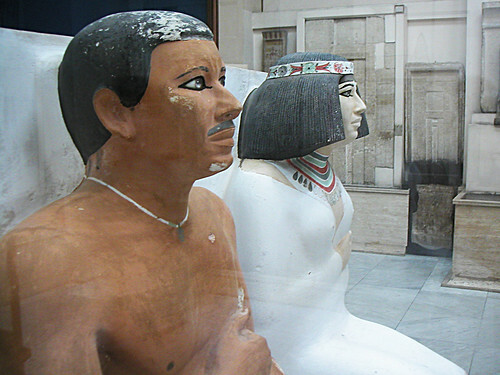 One of the first stops on a tour is at the statues of Rahotep and his wife, Nofret. This view, from the second floor, will give you an idea of the probable reason why cameras were banned. With the lesser number of tourists passing through now, that policy could probably be revised for a time. 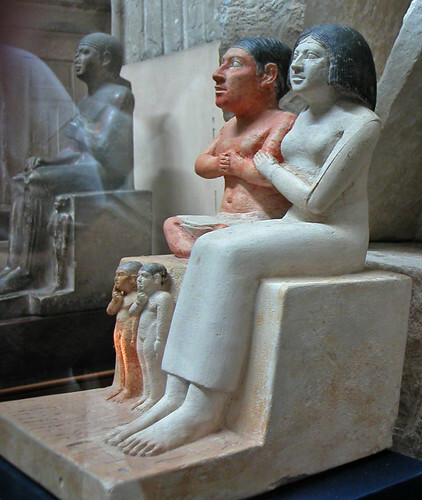 Seneb the dwarf, his wife Senites, and their children are another popular exhibit from The Old Kingdom. To wrap up this post, here are two pictures of the general layout of the museum. The one on the left from 2003 and the one on the right from yesterday. One thing that has changed is that there are many more benches on which a visitor can stop and rest, a welcome addition. Click on any picture to visit the Flickr album which contains these and other pictures from the museum. 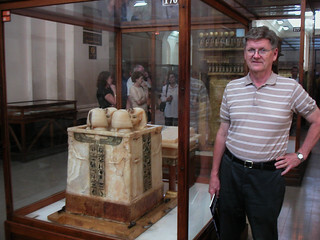 I will leave the King Tut exhibits for a separate post tomorrow. The Egyptian ministry of tourism always sees the glass "half full." The number of visitors is up from last year, etc. Talk to a few people in the industry, however, and you find that most of the visitors are coming on an "all-inclusive" low budget ticket. Perhaps $500 will get you a flight, a hotel room and meals for a week in Sharm-el-Sheik on the Red Sea if you are in Russia or Poland. These people don't hire guides or buy a lot of souvenirs to take home. But there is a growing profitable segment. The Chinese. Many have money and are traveling to this exotic destination. Egypt estimates that 200,000 will visit Egypt by the end of 2015. And just about every one of them will be stopping at the several souvenir shops down the street from us to buy papyrus paintings, perfume and other trinkets. Here is the typical scene in front of the shops on a busy afternoon. I counted seven buses and vans. Too bad that street isn't paved - they finished the freeway about six years ago but haven't gotten around to finishing the frontage road. But today, what do we see alongside the buses? Paving machinery. We inquired. The shops went right to the top, writing a letter to President Sisi pointing out the bad image this road presented to the many tourists. Most tourists travel this street since it is a direct route to Memphis and Sakkara, two must see sites on any tourist's itinerary. And, now we have action. No wonder a lot of people are happier with the new administration. With some new pavement down, the drivers can start to be more innovative too. At this corner, most of the Northbound drivers want to turn left - as do the Southbound. Now it is easier to just "swap lanes" and put your car over on the left side of the road well ahead of time. Sometimes they do, sometimes they don't. Always pay attention! What Did You Do on Revolution Day? as the now outlawed Muslim Brotherhood tried to take another run at showing their strength. The people here have no interest in contributing to another revolution, and this Politico article summarizes the past four years remarkably well. I recommend reading the whole thing. While the activists’ revolutionary dreams were never realized, Egypt’s state broke down further, and remains quite broken today. As a result of this experience, many Egyptians are so fearful of change that they are now content to live with their broken state, since they view it as preferable to further collapse. ...Egypt’s state collapsed even further under Muslim Brotherhood leader Mohamed Morsi, who won the June 2012 presidential elections, in large part due to the Brotherhood’s particular nature. The Brotherhood is a vanguard—a deeply hierarchical organization that aims to resist Western influence from the grassroots up. Specifically, it works to “Islamize” the individual through its rigid five-to-eight-year indoctrination program; then “Islamize” the society by dispatching its members to recruit new Muslim Brothers through social services; then “Islamize” the state by winning elections and appointing its members to positions of authority; and finally establishing a “global Islamic state” comprised of other Brotherhood-run countries, which will challenge the West for worldwide hegemony. See this story about the U.S. State Department hosting a group of Muslim Brotherhood representatives in Washington yesterday. If you followed the first couple of links that I presented, you probably found that this year's trouble was limited to a few neighborhoods where the Brotherhood still has some influence. None are anywhere near where we live. 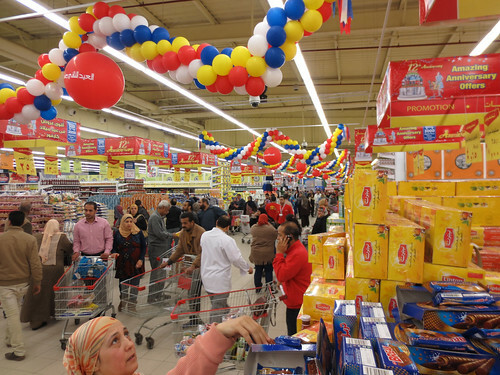 We went out for a walk in the afternoon up to our nearest supermarket (reportedly Brotherhood owned!) and did a little shopping. Traffic was light and we enjoyed the stroll as always. Tomorrow, we are headed downtown to the Egyptian Museum and hope to be able to give a report on the King Tut beard controversy. See story here, here or here. After looking over the building in the previous post, which was a two-bedroom unit, we also looked at a nearby three-bedroom unit aimed at a bit more upscale buyer. This is about a 2500 square foot apartment. This similar unit next door shows the raw apartment before finishing. 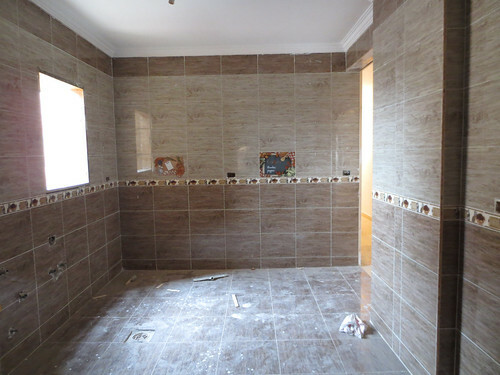 You typically buy it like this and have your contractor finish the interior as you like it. 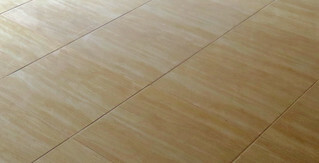 The units start out all the same but no two are alike when finished. That support column in the middle of the living space might give your interior designer fits but here, they have some imaginative solutions. 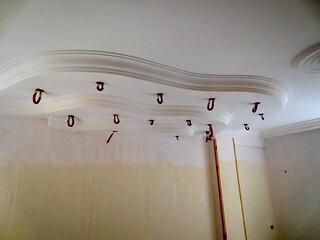 There are recessed lights in those wavy "gaps" in the column and also surrounding the column on the ceiling. The recessed lighting will also be featured in the master suite above the head of the bed. Those conduit loops are just place-holders at the moment. Next, let's head down the hallway to a large bathroom. Here, Linda and I disagree on the style. 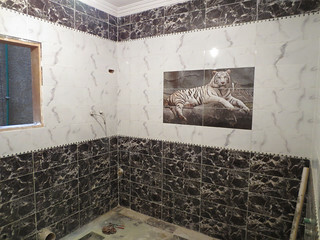 I like the Siberian tiger on the shower wall. 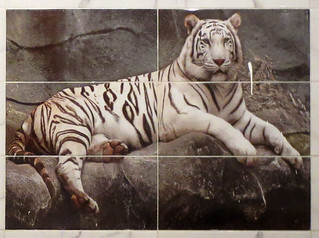 A tile picture like this is becoming a popular trend in bathrooms here. Linda is not a fan. It is a fairly permanent choice. 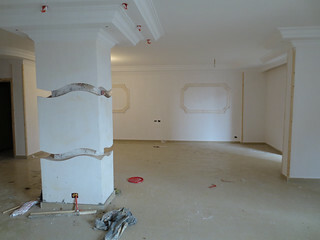 And, it's going to look better when those plaster drips are scraped off. On to the kitchen, or "mudbuck" in Arabic. 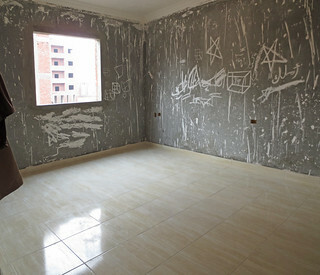 Once again, you can never get too elaborate on ceramic tile in Egypt. I like the decorative pieces a lot but Linda again disagrees. The "open concept" has not arrived here so the cook is isolated. Nonetheless, this style is called an "American kitchen" simply because there is a pass-through opening into the dining area. 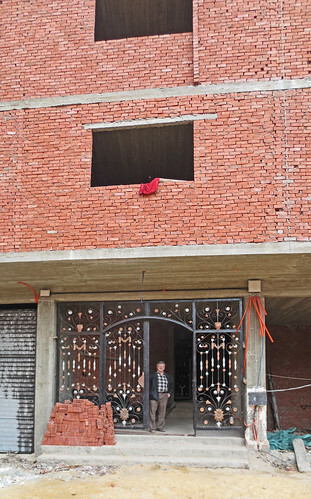 A friend of a friend is building an apartment building. 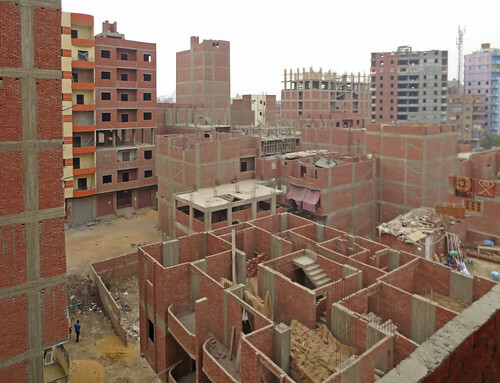 Well, in Cairo, I sometimes think that everyone is building an apartment building. We see the partially complete structures anywhere we go. We decided to go take a look. The building is about half way between our place and the great pyramids of Giza. There are plenty of buildings going up in the area. 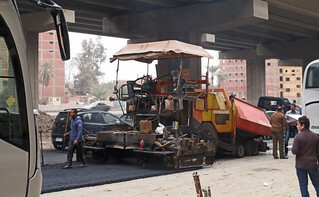 I am always amazed at what a small number of Egyptians can do with a concrete mixer, some sand and a few loads of bricks. Here is the front of the building. We walked up the stairs to the seventh floor to look at one apartment nearing completion and paused along the way to rest and take pictures. Linda kept telling me not to lean on the walls. This is a good chance to show you the electrical "rough-in." 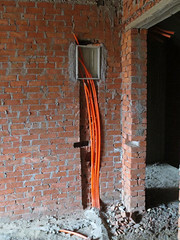 Flexible orange conduit is placed in the floor and walls to distribute the electricity. Here you can see the conduits emerging from the circuit breaker panel and running across the floor. Later, a couple of inches of concrete will cover the floor, level it and cover the conduit. 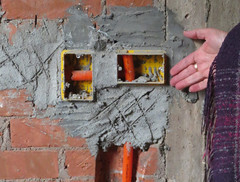 Channels are cut in the bricks to allow the conduit to run vertically and horizontally along the walls. 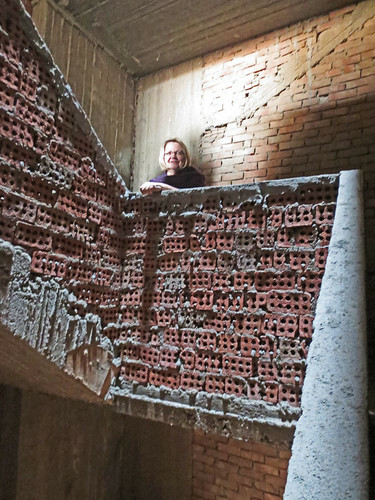 A layer of stucco or mortar mix will be applied over the bricks to form the interior wall surfaces. The seventh floor unit is almost complete. 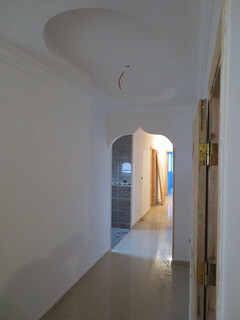 The walls are ready for painting, the plaster crown molding is in place and the ceramic tile has been laid over the top of that concrete that I mentioned earlier. 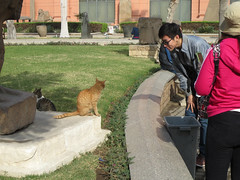 About once every three weeks or so we make a major outing to Maadi and the Cairo Mall. Maadi is where the "other half" lives. Or "the 1%" or the diplomatic corps and foreign contractors or whatever you would prefer to call them. 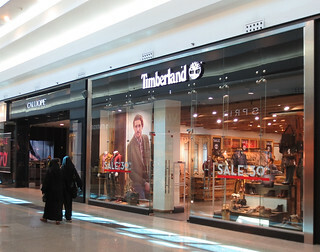 You would recognize most of the mall stores and restaurants such as Timberland, Starbucks, Chilis, Payless Shoes and Radio Shack. 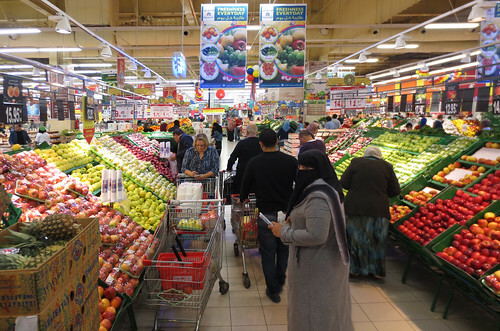 Our principal destination is Carrefour, the giant French hypermart. 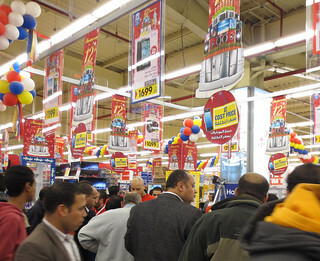 We always arrive in Cairo during their anniversary sale. They have been here twelve years now. We had lunch at Chilis and went into Carrefour at around 1 p.m. on Thursday, just as the weekend crowd was beginning to build around the specials on flat screen TVs. The TV's were stacked close to ten feet tall and the red-shirt guys were ready to help put one in your cart. We already knew what the special was because we saw so many carts with big-screen TVs rolling out past Chilis. The hot display item seemed to be the 47-inch LG priced at 9999 Egyptian pounds or around $1395. 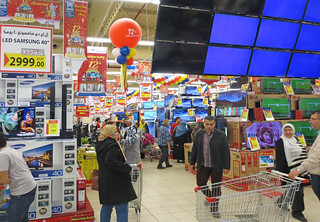 The 40 inch Samsung at 2999 egp or $419 was what actually ended up going into the carts, however. 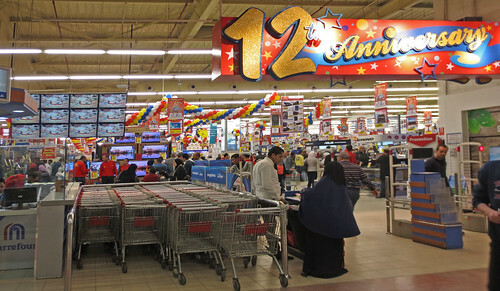 There were "amazing anniversary offers" in all areas as the shoppers played "bumper carts" up and down the aisles. 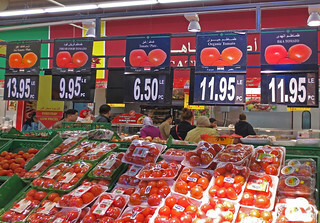 The attraction of Carrefour is not just low prices, it is broad selection. I counted twelve varieties of apples on display in this part of the produce section. There were a couple more around the corner on an end-cap. 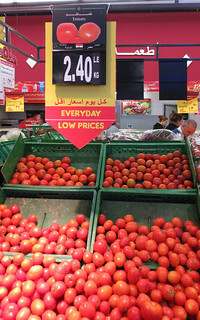 Tomatoes of the baladi variety (local) were selling for 2.40 egp per kg or 15 cents a pound. 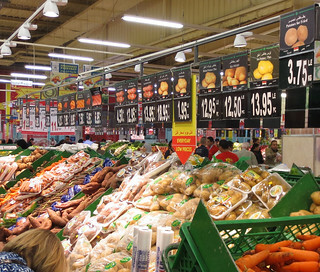 Buying organic could set you back a good bit more. Linda passed up the 12 cent per pound pre-packaged larger potatoes to pick individual selections from the better quality, "potatoes for fried," at 24 cents per pound. We don't understand the meaning of "potatoes for fried" but they are the best looking potatoes so that's what we buy. At the cash register the bagger packed up our 21 plastic bags of groceries and we headed out to haggle with the taxi drivers. After about 5 minutes of back and forth prices we settled on a "good" price for the 20 minute ride home and we were off. It's Winter Here. But not too Severe.